I started to love art after a trip to Holland, where I was overwhelmed by Rembrandt’s mysterious settings and modulations of light. With a backward path I have been studying the references of the Dutch Master, up to the analysis of the creative processes of the Renaissance artists, even through studies on the various restoration interventions in the publications of the major international museums and retrieving information on several lost masterpieces, of which we have traces only through copies. Among those masterpieces, what first stimulated my creativity was the "Resurrection of Christ" by Caravaggio, destroyed in Naples in 1805. This work has been for me the main source of inspiration for my first solo exhibition "Out of the shadows", consisting of 25 paintings made by adding layers of light colors upon a dark undercoat. Going on with my research, I started using formulations of colors and supports compatible with those of the “old masters” in order to get a better duration reliability and thinking of their ability to communicate intense emotions. As a result, current issues such as feminicide and racism, or some classic themes like the initiation to Alchemy have been dealt in a contemporary reworking of techniques, styles and the iconography of the past, creating compositions in which references to space and time are reduced to essential. 2015 Colmurano, Annunziata Church, Modus in rebus. Ascoli Piceno, Baptistery of San Giovanni, Sant'Emidio. 2014 Ascoli Piceno, Marcucci Museum, Sant’Emidio polyptych. Monte San Martino, Civic Art Gallery, Past Perfect. Roma, CESMA, exhibition and conference, News about Caravaggio and contemporary painting, with prof. Sandro Corradini. 2013 Roma, CESMA, temporary exhibition. 2011 Bruxelles, WOW Art Gallery, Contrasti. 2009 Ascoli Piceno, Rinascita communications, Out of shadows. 2018 Stuttgart (Germany), Rathaus, Uno sguardo nel contemporaneo nelle Marche, The CESMA Collection. 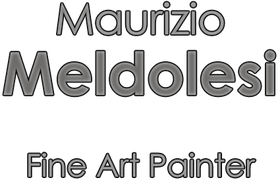 2017 Tolentino, Politeama Theatre, Uno sguardo nel Contemporaneo delle Marche, The CESMA Collection. 2016 Miami (USA), Spectrum Miami Art show. 2015 Stuttgart (Germany), Italian Cultural Institute, Planet paper in third millennium. Milano, Ostrakon Gallery, Expo 2015, Mon Appetit. 2013 Prague, Italian Cultural Institute, Planet paper in third millennium. 2012 Hong Kong, State-Of-The-Arts Gallery, Stillness. Macerata, Antichi Forni Gallery, Justice. 2011 Roma, National Museum of Popular Arts and Traditions, Planet paper in third millennium. Cingoli, Palazzo Cima, Charm of beauty. Macerata, Antichi Forni Gallery, Starting sign. Fabriano, Civic Art Gallery "B. Molajoli", Woman in art. Gubbio, Arconi Palazzo dei Consoli, Woman in art. Macerata, Antichi Forni Gallery, charity exhibition for Burkina Faso, Color drops for Africa. 2010 Ancona, Puccini Gallery, Permanent works. Sant’Elpidio a mare, Nobile Contrada San Giovanni, Wine through emotions and landscapes of Marche. Macerata, Museum Palazzo Buonaccorsi, In Opera 2010 - On the footsteps of Padre Matteo Ricci. Ascoli Piceno, Sant’Ilario Church, A work about Sant’Emidio. Macerata, Antichi Forni Gallery, Self portrait. 2009 Ascoli Piceno, Sant’Andrea Church, Flower woman. 2006 Tolentino, XV edition Tolentino Arte. Italy: Civic Museum of art, Monte San Martino; Santa Maria del Buon Consiglio church, Ascoli P.; Sacro Cuore church, Ascoli P.; Marcucci Museum, Ascoli P.; S. Lucia church, Serravalle del Chienti; Nobile Contrada San Giovanni, Sant’Elpidio a mare.